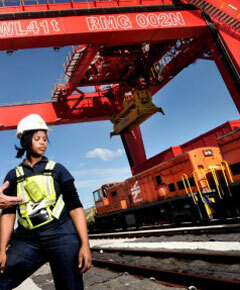 More financing is on the way for small businesses to smooth the path in working with Transnet. The fund, a public-private partnership, will give cash and non-financial support to small, black-owned businesses that can supply or service the parastatal…. More cash is on the way for small businesses. The government is stepping up the level of funding provided by the Small Business Finance Agency (Sefa), through the newly launched Godisa Supplier Development Fund, a partnership between the state and the private sector. Through the Godisa Fund, small black-owned businesses will get financial and non-financial support that will enable them to provide services and manufactured goods to Transnet, the freight logistics parastatal responsible for ports, rail, and fuel and gas pipelines and storage. Launching the fund in Pretoria on Friday, 21 February, Economic Development Minister Ebrahim Patel said Sefa had approved just over R1-billion in funding for small businesses in the 18 months of its existence. “The Godisa Fund is a R165-million fund that is set up with contributions from Sefa, Transnet, and Anglo American’s Zimele. We came together, we each put [in] a bit of money and we said let’s identify small businesses that can help supply Transnet,” he said. Sefa is a wholly-owned subsidiary of the Industrial Development Corporation and was established in April 2012 through the merger of South African Micro Apex Fund, Khula Enterprise Finance Limited and the small business activities of the IDC. 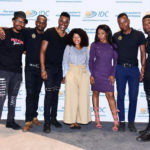 The agency reports to the Department of Economic Development, which is responsible for ensuring the establishment and development of small and medium businesses. Through the Godisa Fund, the government hoped to bridge these two challenges. It was open to existing and potential Transnet suppliers, but the focus was on bringing more companies into the Transnet supply chain. In addition, the fund was meant to be a stepping stone for small companies, in the long run, to be able to provide services or manufactured goods not only to Transnet but also to the private sector. In South Africa, there were almost five million small and medium entrepreneurs, and 70% of them did not survive beyond 18 months because of structural problems such as lack of access to funding, said Minister of Public Enterprises Malusi Gigaba, who was also at the launch. 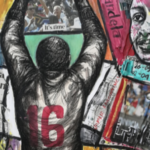 The government needed to increase appetite for risk, “take a handholding approach and trust black people as capable entrepreneurs so that we do not build the economy on the back of fronting entrepreneurs with no experience, skills, or keenness for industry”. “This fund will encourage young black people who have aspirations to be entrepreneurs and suppliers of light and heavy manufactured products to access funding. The success of our industrialisation will be measured through a thriving manufacturing sector and its multiplier effects in the economy. “I call on young people to take this opportunity and apply to the fund. I congratulate Transnet, Anglo-American and the Small Enterprise Finance Agency for taking this bold initiative of establishing this collaborative fund,” Gigaba added. To qualify for Godisa funding, applicants had to fall under the description of a small business, should be black-owned and be able to render a service to Transnet, said Patel. Interested businesses could contact Sefa or visit the agency’s website for more information. Transnet would also put out “an alert” to inform people of the services and goods it would require from interested small businesses.